Smart and sophisticated, the Dakota Large Table Lamp by Heathfield & Co would make a versatile choice for a bedside table. The minimalistic style is complemented by a chrome or bronze finish. 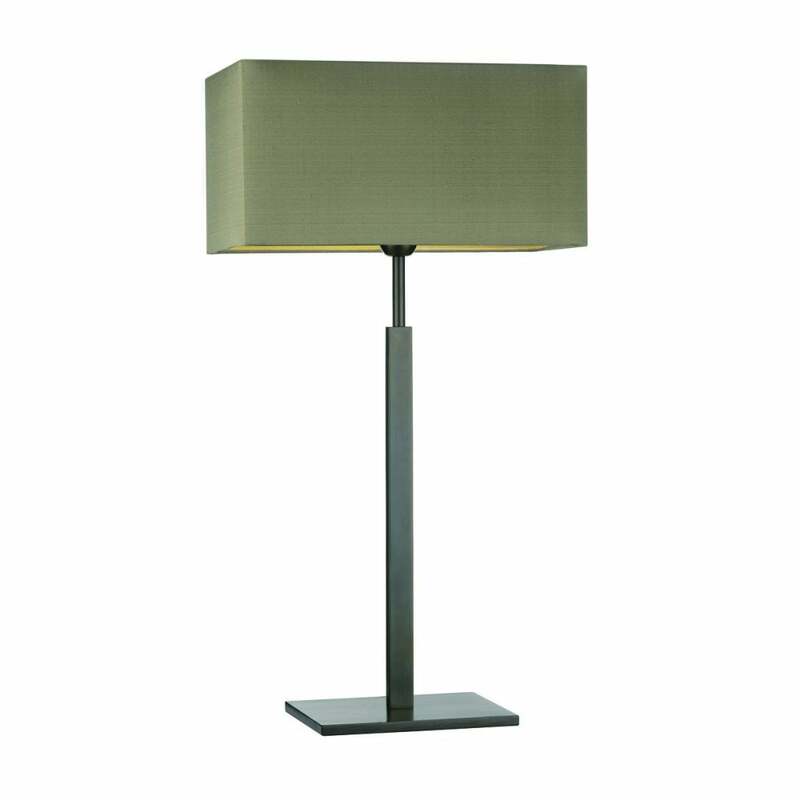 The large table lamp would look stunning in a penthouse apartment, new build or modern home. Choose from a wide selection of shade options. Combine the strong, clean lines with a dark shade for a glamorous look or style with a neutral colour for a refined aesthetic. Also available in a smaller size. Make an enquiry for more information. Priced for 14" Straight Rectangle shade in silk with white PVC lining. Please contact us for other options.